Learn how to use the LTSSM View in the Data Center Software! LTSSM View provides an easy way to understand new link states as they occur on the USB 3.0 bus. Watch this short video demonstration on how the Komodo CAN Duo Interface interacts, monitors, and transmits CAN data to the CAN/I2C Activity Board Pro! 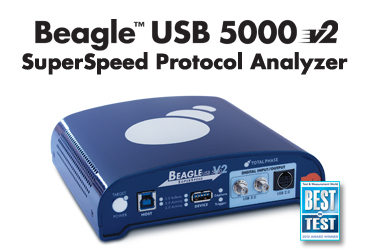 Now Available: Beagle USB 5000 v2 SuperSpeed Protocol Analyzer! Total Phase is excited to introduce our all new series of the Beagle USB 5000 v2 SuperSpeed Protocol Analyzer! These new models build on the reliable technology seen in the original Beagle USB analyzers, adding advanced features such as the SuperSpeed USB (USB 3.0) downlink and multi-analyzer synchronization to allow engineers to access their captured data with unparalleled precision and speed. Combined with our signature real-time analysis and display technologies, users will be able to debug their USB 3.0 applications faster than ever before. The Beagle USB 5000 v2 analyzer series includes three models for state-of-the-art USB 2.0 and USB 3.0 interactive analysis. The Beagle USB 5000 v2 USB 2.0 analyzer is the most advanced USB 2.0 protocol analyzer available. Developers can utilize match/action triggering for USB 2.0 data in addition to the Beagle USB 5000 v2 analyzer's real-time capabilities. This tool is fully field upgradeable to USB 3.0. For USB 3.0 analysis, the Beagle USB 5000 v2 analyzer series features two models. The Standard model is our lowest priced USB 3.0 model and includes a basic match/action trigger and filter system for USB 3.0. For developers who need more advanced features, the Ultimate model is the flagship of the Beagle USB 5000 v2 analyzer series. With advanced match/action trigger and filter system for USB 3.0 and USB 2.0, a USB 3.0 downlink that enables longer captures, and multi-analyzer synchronization, this is a fast and advanced tool for even the most experienced USB developer. To see a more detailed comparison of our Beagle USB protocol analyzers, check out our chart here. To find out which Beagle USB 5000 v2 analyzer is right for you, call us at (408) 850-6501 or email sales@totalphase.com. Guaranteed Value Trade-In Program - Witness the Evolution of USB Analysis! Ever have a tool that you wish you could trade in for something that fits more of what you need now? Think of a cell phone. The current cell phone becomes obsolete and the customer purchases a new phone. However, as a customer's cell phone needs evolve with advancing technology, the customer accumulates several old and unused cell phones. This is not the case with Total Phase tools. Total Phase now features the Guaranteed Value Trade-In Program. This new program provides an affordable path for developers working with USB to upgrade to more advanced protocol analyzers. With this trade-in program, all Beagle USB analyzers can be traded in and a portion of the original purchase price will be applied towards the purchase of a more advanced Beagle USB analyzer. Engineers can get value from their older tools and stay current with the latest technology by trading in their older Beagle USB analyzers for a more advanced one. Additionally, engineers will be able to purchase the most cost effective tool for their immediate need while keeping the option to upgrade to more advanced tools in the future. Total Phase is hosting a hands-on lab session at the Renesas Developers' Conference in Anaheim, CA on October 22-25, 2012. The session, entitled "Using Embedded Tools for I2C, SPI, and USB Debugging for the Renesas RX63N RDK," will provide attendees with the opportunity to use our line of protocol analyzers and host adapters to solve real-world debugging problems. Space is limited and sign ups are required. If you would like to attend this session, register for Renesas DevCon here. 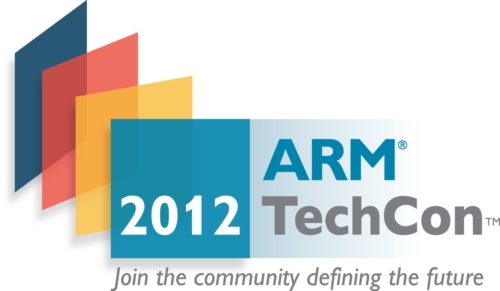 Total Phase is partnering with NXP to host a session at the ARM TechCon in Santa Clara, CA on October 30 - November 1, 2012. This session will focus on designing USB into an application utilizing NXP tools and resources. The Beagle USB 480 Protocol Analyzer will be featured in the class including a live demonstration. One attendee will walk away with a free development kit from NXP. If you would like to attend this session, register for ARM TechCON here! It was my first time designing a product part of the USB audio class so I needed to create all of the configuration descriptors. After some trouble figuring out the enumeration, I purchased the Beagle USB 12 Protocol Analyzer and was able to fix the problem with the enumeration. The Beagle USB 12 analyzer is useful for debugging USB enumeration and low level communication issues. I can't image how you would be able to find this data without this protocol analyzer.